When you’re planning on swimming in the ocean it’s wise to know what to expect. Rip tides are just one of those things you may encounter. Potentially deadly, they are survivable if you know what to do should you find yourself caught up in one. Rip tides cause more deaths each year than hurricanes, tornadoes, and lightning strikes combined. The powerful part of rip tides is close to the surface. The danger with getting caught in rip currents is being pulled out to sea. Many people who drown in a rip tide do so because they panic and don’t know how to escape it. 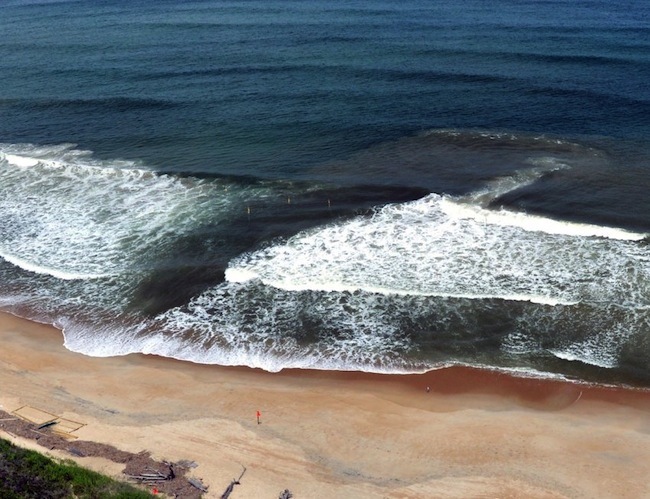 It’s important to know what to do if you or a family member encounters a rip current. Rip currents form when waves break near the shoreline, piling up water between the breaking waves at the beach. One of the ways this water returns to sea is to form a narrow jet of water that moves swiftly offshore, roughly perpendicular to the shoreline. Under most tide and sea conditions the speeds are relatively slow, however when wave, tide and beach conditions align, the speeds can quickly increase and become dangerous to anyone, including experienced swimmers. 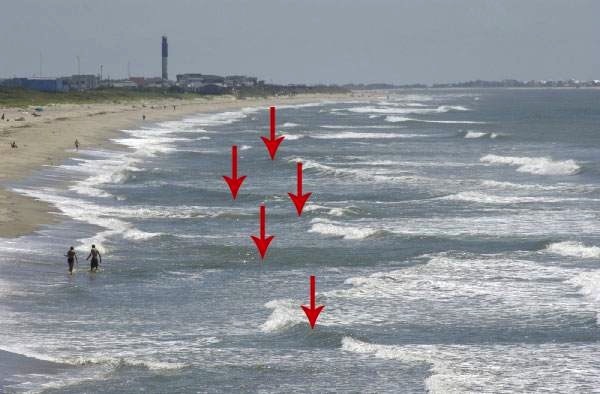 Rip currents are often not readily or easily identifiable to the average person so watch for these aforementioned clues. If you are concerned about the possibility of rip currents, ask a lifeguard before entering the water. If you see someone in trouble, don’t become a victim yourself. Many people drown each summer while trying to save someone else from a rip current. Get help from a lifeguard if one is available. If not, have someone call 9-1-1. Throw the victim something that floats such as a life jacket, cooler or inflatable ball. It’s always a good idea to swim where lifeguards are present and never swim alone. If you’re not a strong swimmer, wear a flotation device. Whether you’re a good swimmer or not, make sure you and your family know how to identify a rip tide and understand the methods of escaping one.